Craving noodles? You're in luck: a new Asian restaurant has opened its doors in Raleigh's Lafayette Village. Called Zanyu Asian Noodles, the new arrival is located at 8450 Honeycutt Rd. 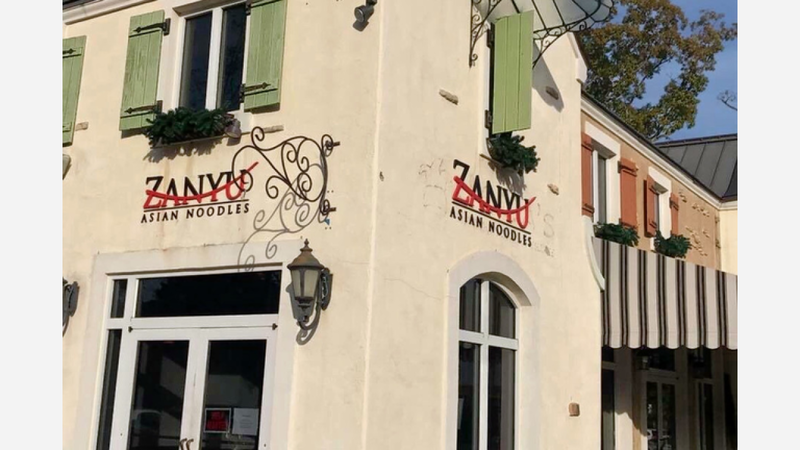 Owned by Michael Bongiorno, who spent 15 years working in Asia as a chef for Hyatt International, Zanyu specializes in a compact menu of noodle dishes spanning various Asian cultures. Options include Northern Thai khao soi (egg noodles in a curry chicken soup with shallots), Japanese miso ramen with caramelized pork belly and inari tofu, and Chinese wonton noodle soup with BBQ pork, fried wonton dumplings, and fried shallots. A few appetizers, like edamame with yuzu salt and agadashi tofu, round things out. There's also a selection of Asian drinks, including bottled teas sourced from Japan. With a 4.5-star rating out of 11 reviews on Yelp so far, the fresh addition has already made a good impression. Leslie H., who was among the first Yelpers to review the new spot on December 5th, said: "If you love Asian flavors and noodle dishes, you can enjoy the best of both at Zanyu. The owner/chef comes with years of experience, after living in Asia for years and learning how to make everything from scratch." Yelper Christine S. added: "Heard from a friend about this new place and decided to try it out for lunch. It is basically a ramen place with a variety of different noodle dishes." And Georgia O. said: " I ordered the dry wonton noodles with char siu pork. The wontons were excellent, fresh and crispy. The noodles were also cooked perfectly."